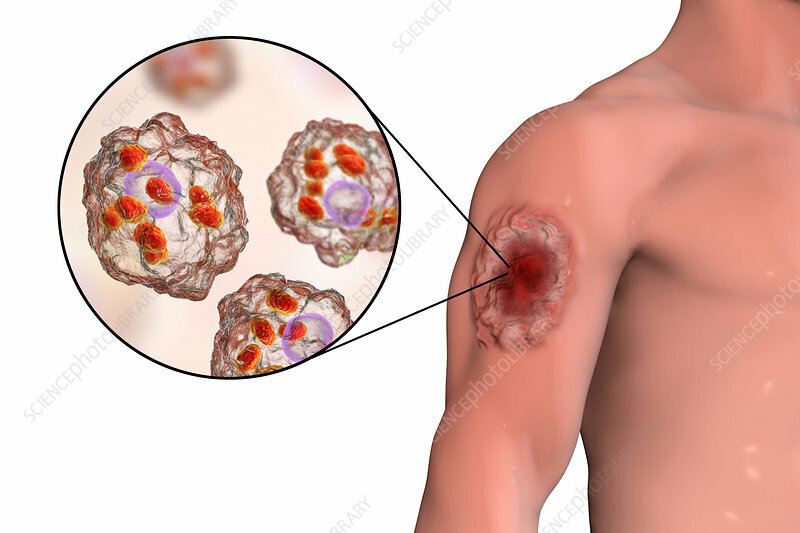 Skin ulcer in cutaneous leishmaniosis and close-up view of Leishmania amastigotes found in macrophages, illustration. This skin condition is caused by infection by Leishmania protozoan parasites. They are transmitted to humans through the bite of an infected sandfly. The cutaneous (skin) form is the most common. The lesions generally heal, though scarring is possible. Treatment is by drugs or by cryotherapy. Leishmania parasites are found in subtropical and tropical regions worldwide.